We are located in the heart of eastern historical Iowa close to early Morman historical sites, Lewis and Clark Trails and early developement of Union Pacific Railroad and museums. We are close to Casinos, many fine restuarants shopping areas, Mid American Convention Center,beautiful Loss Hills and much more. We are minutes away from historical downtown Omaha NE and the well known Old Market shopping/dining area. We are close to the Omaha Henry Doorly Zoo, Omahas Eppley Airfield, Ameritrade Baseball Park, home of the College World Series, Century Link Convention Center and more..
1 King Bed Deluxe Smoking incl. 2 Queen Beds Non Smoking incl. 1 Queen Bed Hcap, NS, incl. 2 Queen Beds Smoking incl. 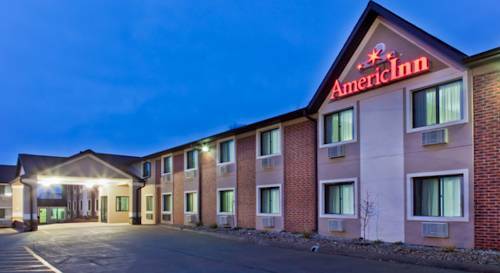 This hotel is located off I-80 but just a quarter mile to where I-29 intersects. Only 5 miles to cross the Missouri River to historic downtown Omaha NE and 15 miles Omahas Epply Airfield. ~16 miles from Council Bluffs. Before Roland Sherman died in 2007, he spent about 20 years making odd sculptures on a sandstone cliff near his home. He didn't talk about it, and now he isn't around to explain it. ~57 miles from Council Bluffs.